A Christmas gift books for adults and teens, this is a moving account of a child growing out of mystery and into understanding through the death of his father. Ending at Christmas, the hope of the season is the book's true meaning. "What I wanted to do in this little book was to convey as directly and completely and as honestly as I could what it felt like to be the ten year old child I was at the time of my father's death in 1936." This story of Teddy Schroeder and his sister Bean is a moving account of a child growing out of mystery (the mysteries of the world) into understanding. As a novel it is simple and evocative, focused on the inner feelings more than outward events. The big event is the death of the narrator's father and what it does to Teddy and Bean. The book ends at Christmas, and while it is not about Christmas the hope of the season is the book's meaning (and the author's intention). At the end, when the children are in church, they sing from the hymn "God Rest Ye Merry Gentlemen" the lines: "This holy tide of Christmas doth bring redeeming grace." 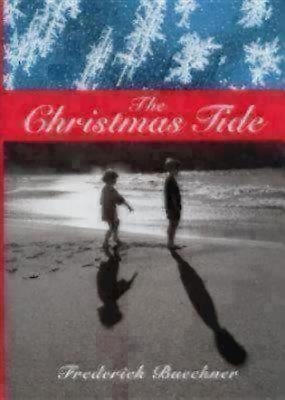 Teddy reflects on this, what the word "tide" means and whether it is about the beach where they had been with their father. This book was originally published as The Wizard's Tide.